An anesthetic commonly used by doctors, ketamine is a substance that gained another function: aiding in the fight against depression, especially among patients that don’t respond well to traditional treatment or who have suicidal thoughts. The results have made psychiatrists enthusiastic after they realized an improvement in up to 24 hours after its ingestion by some patients. The ketamine treatment is still experimental, called off-label. That means that the manufacturers of the substance still don’t indicate, in the medication’s instructions that it can be used against depression, given that it is a substance designed to act as an anesthetic. That doesn’t prevent it, however, from being tested by psychiatrists, since there are studies, evidence, and international protocols (especially in the US) which provide these indications. Most protocols recommend an injection of ketamine per week (this is the lasting period of the substance’s effect), repeating its application from four to six weeks, according to the patient’s reaction. After that, periods of pause are common, and, if necessary, injection applications can be resumed. It is important to stress that using the substance orally seems to have no effect over the depression, but only in a smaller dose, through injections (intravenously or subcutaneously). “One injection per week is the indication, but eventually it can be altered to twice a week, if the patient begins to have a lesser response. The dose in each injection varies from 0.5 mL to 1 mL per kilogram of the patient’s weight, and most studies never go beyond that amount,” explains Roberto Ratzke, a psychiatrist and professor at the Medical School of the Federal University of Paraná (UFPR), UNIMED cooperative partner and director of the Heidelberg clinic. After the beginning of the treatment, the patient will feel the reduction of his symptoms, and the traditional medication (which wasn’t having the proper effect on the organism) will be potentized by the ketamine, as the expert explains. “The ketamine hasn’t replaced the previous medication, it is a joint treatment. It works as a booster, to help antidepressants have a better effect on patients,” stresses Ratzke. Since traditional antidepressant medications take a few weeks to begin showing any effect, the new ketamine-based treatment is appreciated by the doctors, precisely due to its quick and effective action. 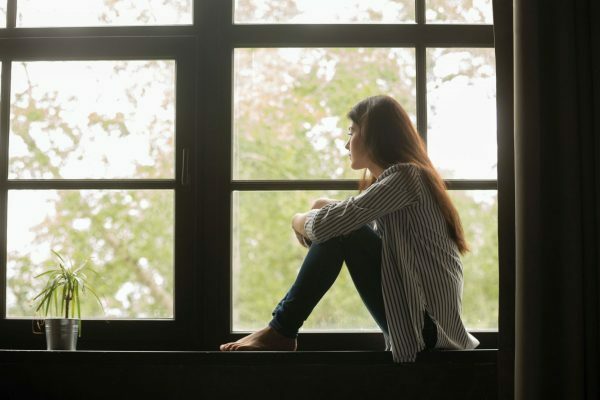 And even though it is only indicated to a select group of patients, they represent between 25 to 30 percent of all people diagnosed with depression. Still, their use should be controlled. Used in a long period of time (two, three years), with no medical supervision, ketamine may generate a chemical dependency (or addiction). Therefore, its use should always be controlled, and done in a medical environment (hospitals or medical clinics), under the supervision and orientation of experts. The responsible application of ketamine is done gradually, in doses smaller than those traditionally used for anesthetic purposes, or which may cause addiction in the patient. “Collateral effects usually happen during the infusion, and generally last from 30 to 50 minutes. They include drowsiness, and the patient may feel a dissociative effect, or the feeling of disconnection between body and mind. Some patients have vivid dreams, which usually are not dangerous,” explains Luis Fernando Petry Filho, a psychiatrist and clinical investigator at Trial Tech, a ketamine infusion clinic located in Curitiba, Paraná. Although the responses to ketamine may appear right after the first days after its application, Petry points out that it is necessary to wait for four weeks, on average, so that doctors and patients can have a better notion of the medication’s efficacy. “It is a treatment that is usually comfortable for patients and doctors, and, what’s more important, an effective one. When we think about it, there is a legion of patients that are currently unable to improve with the traditional treatment, and this is a medication that can change the way they are being treated. The mechanism in which ketamine acts is different from antidepressants, since it makes a modulation on the brain molecule (neurotransmitter) glutamate,” explains the psychiatrist.